In 1971, OMS was founded with the intention to provide services to the drinks industry. This led to the creation of the DeCapper, an in-case bottle cap decapper, and a couple of years later we had our first patent. This was only the beginning for us and since then we have not ceased in our efforts to innovate. Today, OMS is a leader in the industry and holds dozens of patents that have helped our customers. Our facilities once covered 4,600 sq. ft.; we currently occupy an area of 60,000 sq. ft. This is just the physical representation of our constant desire to explore and expand our reach. 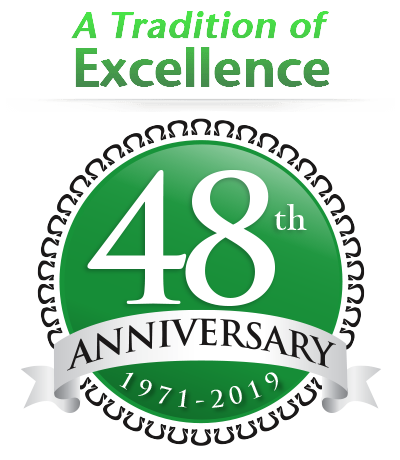 As we approach our 45th anniversary, we realize that this is another milestone in what we hope is a much longer journey. But we also know that there is still a lot of work to do and that we will always strive to find the best solutions so that our clients can meet their goals. 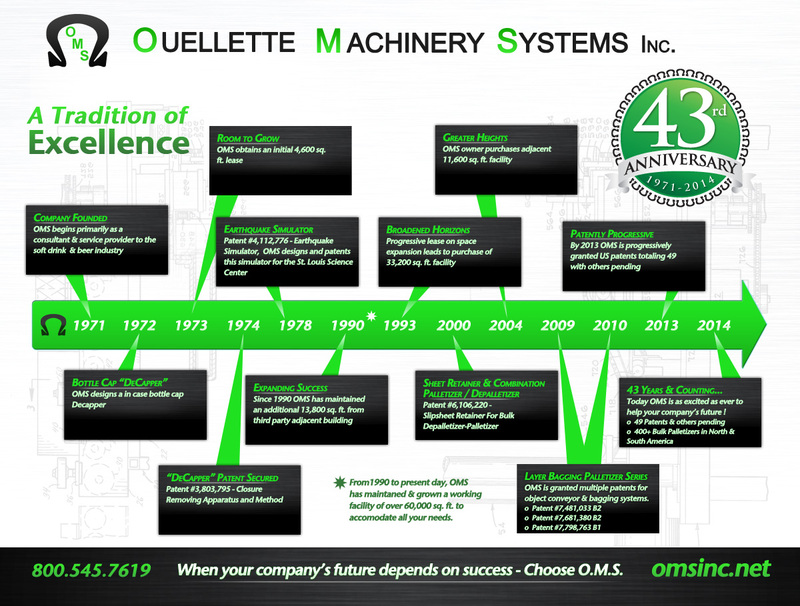 In 2016 OMS celebrates its 45th Anniversary. We thank you for your patronage and support.